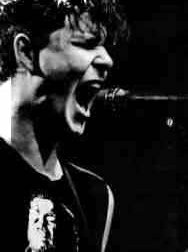 WAIST HIGH: Happy Birthday Stuart Adamson. Of Tattoo, and The Skids, but best known as the lead singer of Big Country. Born in 1958, Stuart hanged himself in a Hawaii hotel in 2001. The Crossing is a staff favorite here at Waist High, and furia believes that Big Country "were the best rock band there has ever been."